The Petite Fleur Dining Chair with Rattan is a stylish and unique choice for your dining room. 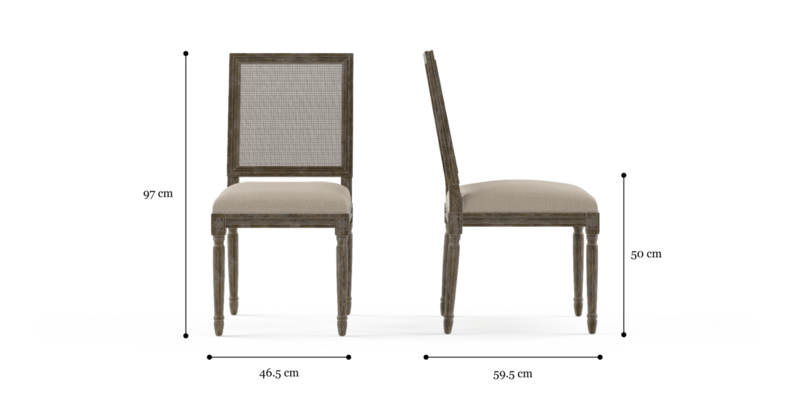 The chair comes as a set of 2, making it easier to mix and match with the Petite Fleur Dining Chair and Petite Fleur Dining Chair with Armrests. 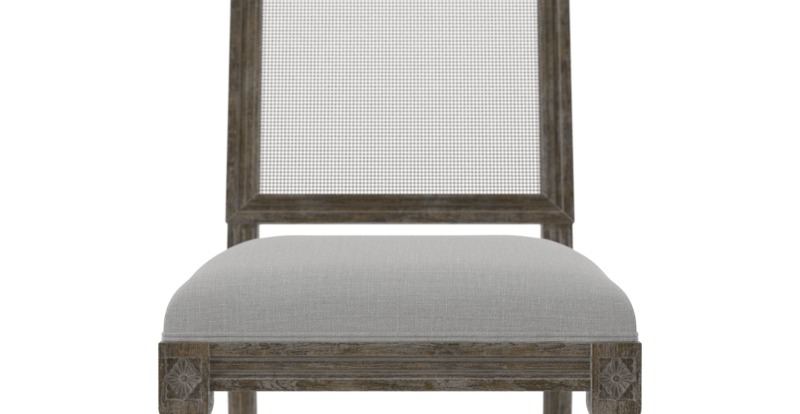 he Petite Fleur Dining Chair with Rattan is constructed with a premium quality Solid Oak frame and legs. 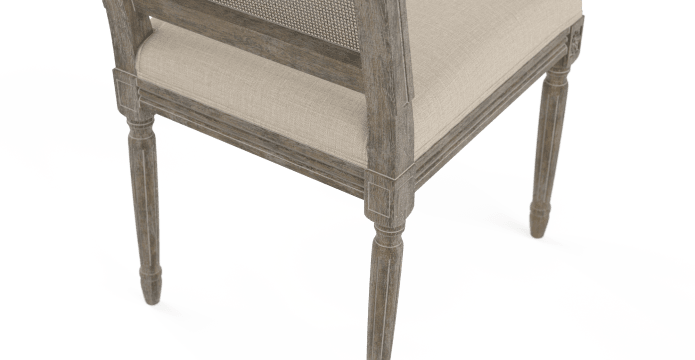 The tapered legs feature close attention to detail and the wood has been finished with Wire Brushed Wax. 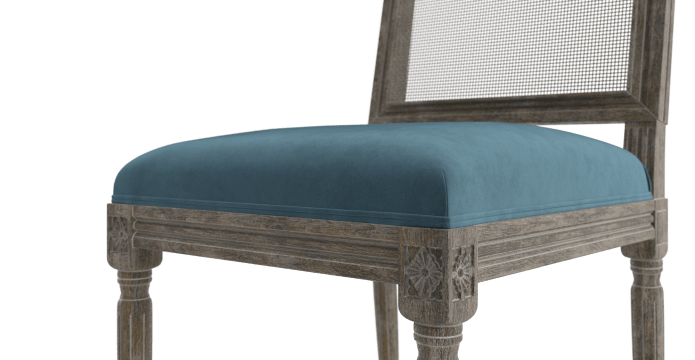 Ensuring your dining experience is as comfortable as possible, the seat of the Petite Fleur has been cushioned and upholstered in either Brosa's Signature Premium fabric or luxuriously soft Warwick Mystere velvet. 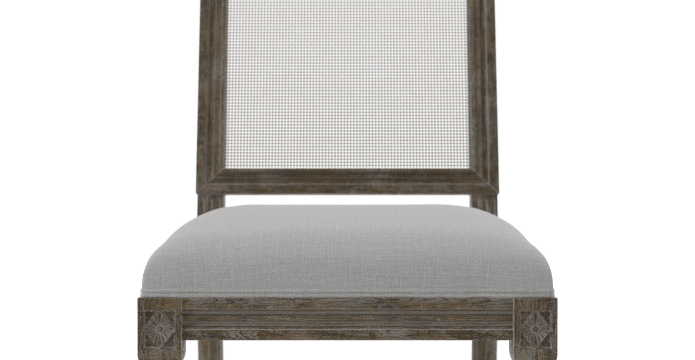 The Petite Fleur Dining Chair with Rattan features intricate detailing and craftsmanship with a finely crafted rattan backrest. Spent over $1000 first order, was nervous to see what the quality would be like. Chairs are outstanding, better in real life than pictures and quality is above what I expected. They arrived sooner than estimated delivery. Will be ordering more products and bedheads in the new year. very confident to purchase from BROSA again. I like the style of furniture - especially the Hampton look, and the dining chairs I chose were exactly what I was looking for. Also, the price was right! Purchased these to go with my teak dining table. My wife didn't want dining chairs that 'matched' her table, so thought we'd try these oak chairs. They are exactly right for the room and the table. Ordered in French Beige. Ordered and delivered in reasonable time. Very happy customer. Thank you. 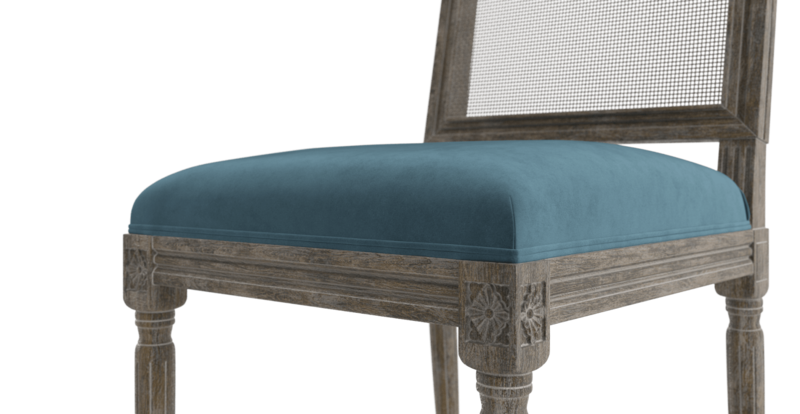 See, touch and feel our fabrics used on our Petite Fleur 2x Dining Chair with Rattan. For Free! Simply select up to 3 fabrics and add them to your cart. Delivery is on us.